These supports are suitable for most ground conditions. Robust construction ensures they will drive into very hard ground with ease and the four pre drilled holes ensures the fence post is secure. Rust resistant finish for use in all weather conditions. 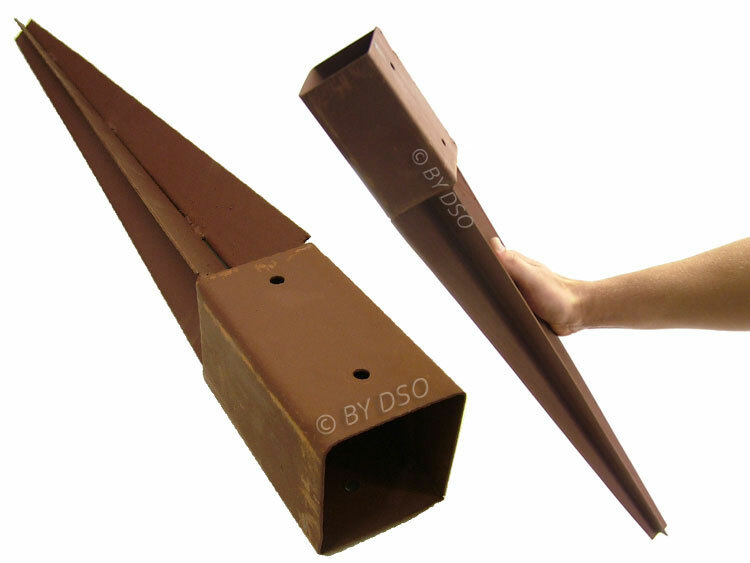 Its spike design ensures the holder goes directly into the ground quickly and securely. Suitable for fence posts, decking, pergolas, carports and much more.